Emergency Roadrunner 24 Hr Roadside Assistance is a family owned and operated towing and roadside assistance company. We are available year round, 24/7 to help you in your time of need. 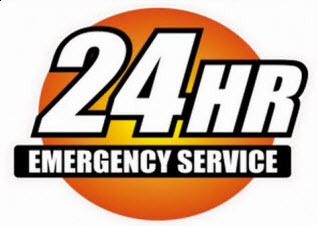 Providing towing services to the good folks of greater Denton County, Texas when you need it, Emergency Roadrunner 24 Hr Roadside Assistance knows that when disaster happens, it doesn’t always choose business hours to occur. We are fully licensed and insured to give our valued customers both peace of mind and superior services. Our courteous dispatchers can get a qualified technician to your location when you are in need of a tow. Keep our website bookmarked, and store our number in your smart phone for convenience in time of emergencies. Flatbed trucks are designed to tow heavy loads from one location to another, often after a collision or when your vehicle breaks down. But Emergency Roadrunner 24 Hr Roadside Assistance can also provide flatbed tows for transporting needs as well. Wheel lift towing is another option provided to the greater Denton County, Texas locals when a tow is needed. Wheel lift tows are optimal if your car is not locked in gear, and can slip into neutral, or for the anxious folks that might be hesitant to have their vehicle loaded on a flatbed truck. 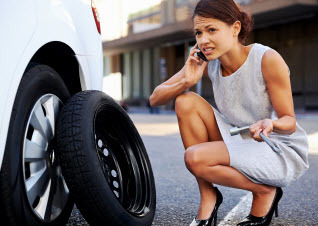 Emergency Roadrunner 24 Hr Roadside Assistance technicians are experienced in wheel lift towing, and can get your vehicle to where it needs to be. Emergency Roadrunner 24 Hr Roadside Assistance dispatchers listen to the person in trouble. Many times low clearance towing is needed, and our dispatchers pay attention to your needs. Low clearance towing is needed when your vehicle is incapacitated in parking structures of malls, schools or apartment complexes. Most businesses include the clearance capacity heading through their parking structures, but Emergency Roadrunner 24 Hr Roadside Assistance team members are experienced and trained to know the various height limitations of each business. No one thinks about being in an accident, until they are in one. Though you may not have been severely injured, your vehicle might have sustained excessive damages and is no longer drive-able. With the stress of being in a traffic accident, finding a reliable towing service to rescue you in your time of need shouldn’t be adding more weight to your shoulders. Emergency Roadrunner 24 Hr Roadside Assistance can be the one you call when you need an accident scene response towing service. Emergency Roadrunner 24 Hr Roadside Assistance towing services can truly be a benefit when you are in a bind. Different circumstances require different approaches. That is why we offer a variety of towing methods. Whether you are in need of a flatbed tow, a wheel lift tow, a low clearance tow, or an accident scene response tow, our dependable staff is standing by to provide you aid. The greater Denton County, Texas locals need only know that the leading towing company, Emergency Roadrunner 24 Hr Roadside Assistance is standing by 24/7. Call us for towing and roadside assistance services.